An institutional investor in Community Health Systems is calling for the ouster of CHS CEO Wayne Smith. In an open letter to CHS Monday, ASL Strategic Value Fund managing director Steven Braverman said management has failed to return his phone calls, and the company's operational turnaround has not gotten traction. "It is time for the board to exercise its fiduciary duty to the shareholders and replace the current CEO. It should also act immediately to claw back significant portions of this past compensation from existing and retired executives," Braverman wrote. The letter was posted on a wire service for public consumption. CHS spokesman Tomi Galin did not respond immediately to an email request for comment. A call to ASL was not returned. ASL is not listed among CHS's top 20 institutional investors or top 20 fund investors by Morningstar. Smith has been CEO of CHS since 1997, including guiding the company to its initial public offering in 2000. The hospital giant, the nation's second-largest chain with 130 hospitals, hit hard times about 18 months ago and lost more than $1 billion last year. 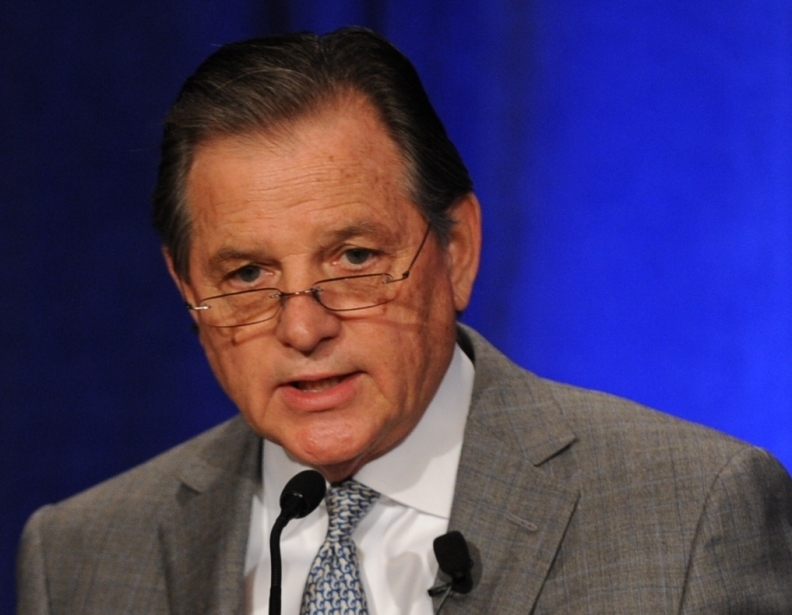 Smith has been guiding an attempted turnaround over the past several months to cut operating losses and reduce a $15 billion debt load that ballooned in 2013 with the $7.6 billion purchase of hospital chain Health Management Associates. The company has continued to struggle despite the divestiture of 20 hospitals and plans to sell at least 10 more. Since 2000, Smith has collected total compensation of more than $350 million and other senior executives another $500 million, Braverman wrote. That's more than CHS' current market capitalization, he said. The failure of the turnaround has left CHS' stock price below the $13 per share it started at during the initial public offering in 2000, Braverman said.